Owing to our thorough high-level GMP control we are fully capable of undertaking cGMP operations from the stage of clinical supply. At Fuji Chemical, we manufacture 1000 tons or more of APIs every year and provide contract manufacturing services to Japanese and foreign pharmaceutical companies; our services mainly include cGMP manufacturing processes from intermediates to APIs. cGMP contract manufacture is undertaken in multipurpose facilities including a pilot building. In addition to 75–9000 L reactors, we have cryogenic/high temperature reactors and autoclaves of maximum 6000 L capacity. We can satisfy various customer needs ranging from pilot -scale trial to commercial production and perform most of reactions. For the production of APIs, we also have API refining facilities equipped with clean rooms of Class 100,000 or less. Depending upon the volume of production, we can provide 3 trains of crystallizers ranging from 300 L to 6000 L.
This is a FDA inspected multipurpose facility with 4000-6000L main reactors. It is tailored for contract manufacture of relatively large scale operations. Since clean rooms are installed, it can be used for refining APIs. This is a FDA inspected multipurpose plant with 2000-3000L main reactors. It is tailored for medium-scale contract manufacturing activities. This latest state of the art facility was completed in the end of 2007, with 2000-9000L reactors. It is designed to prevent cross contamination completely. 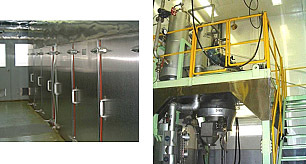 A FDA inspected drying facility for intermediates and APIs. Each drying equipment is completely partitioned and there is no cross contamination. The production areas of APIs are controlled in Class 100,000 or less. The facility is tailored for pilot-scale manufacture. 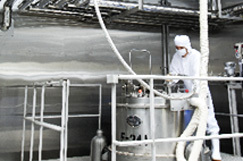 Special reactions including cryogenic and high-temperature reactions are undertaken at this facility. This facility adheres to the cGMP standards, new investigational drugs and small-scale trial drugs can be handled here. With clean rooms of Class 100,000 or less, this FDA inspected facility is used for manufacturing APIs. 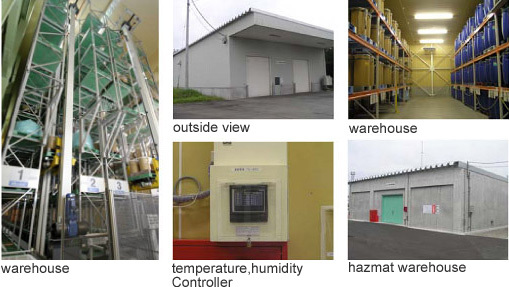 Warehousing of raw materials and products is regarded and controlled as a production process. The temperature/humidity are controlled and monitored appropriately.